2. 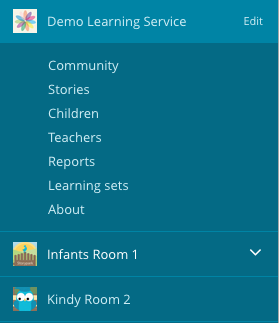 Click the name of the room you want to add teachers or children to. 3. 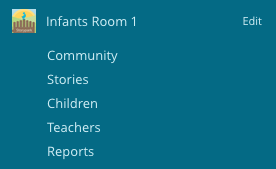 Click the ‘Edit’ link beside the room's name and you’ll be taken to an ‘Edit a room’ form where, among other things, you can choose which children and teachers to include in the room. 4. 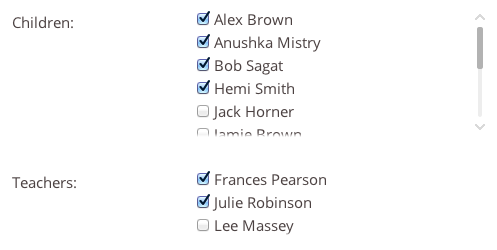 Select the children and teachers you wish to include by clicking the check-box next to each person’s name. You can even have a teachers-only room if you like to have teachers-only discussions. 5. Click ‘Save’ and you’ll be taken to your room’s profile page. a child who is in transition between classrooms or levels. It’s easy to add a teacher or child to multiple rooms. A child or a teacher can be in as many rooms as you wish. 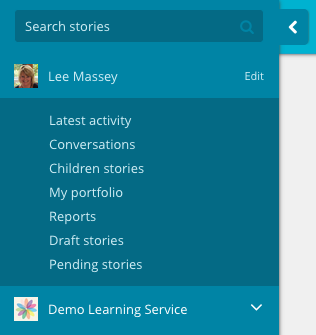 Simply follow the steps above to ‘Add a teacher or child to a room’ for any rooms you’ve set up.